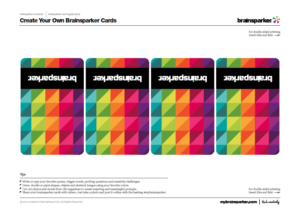 Now you can let your creative spirit go wild and make your own brainsparker cards! 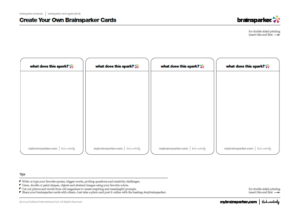 Simply download and print off the #mybrainsparker templates below. 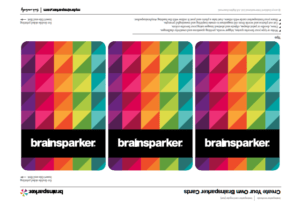 Or print single-sided and then glue the front and back of the cards together. 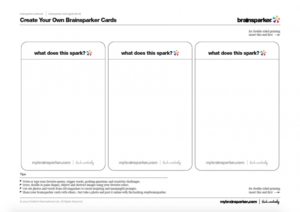 Write or type your favorite quotes, trigger words, probing questions and creativity challenges.  Draw, doodle or paint shapes, objects and abstract images using your favorite colors. Cut out photos and words from old magazines to create inspiring and meaningful prompts.